For the first time in his career of over 20 years long, Sander Kleinenberg has put out a new single on Armada Music. 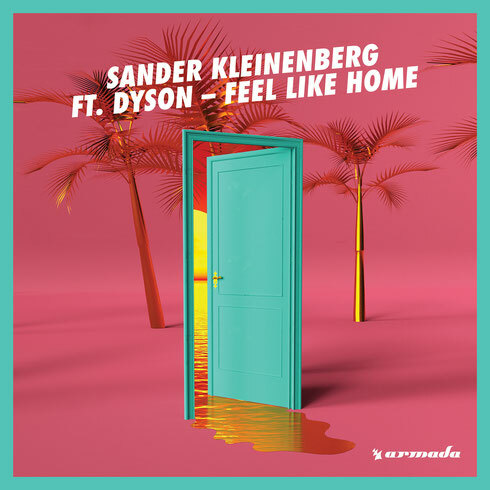 The Dutchman teamed up with the Amsterdam-based record label to launch brand-new single ‘Feel Like Home’, made in collaboration with UK singer-songwriter DYSON. Choosing a different approach for his latest creation, Sander moves away from his Future House sound and lets the track show a deeper side of himself. The record features a vocal-sampled hook and Dyson’s belting pre chorus. In addition, ‘Feel Like Home’ fuels Sander Kleinenberg’s ongoing US tour as throughout this year’s summer, cities such as New York, San Francisco, Miami, Washington, Chicago, and more have played host to the Dutchman’s live sets. His shows in El Paso and Los Angeles today and tomorrow will bring the US tour to an end. In a career spanning over two decades, Sander has possibly been somewhat of a chameleon. The DJ/producer is possibly known for his adaptation of different styles and his execution, as seen in remixes for the likes of Justin Timberlake, Daft Punk, Madonna, Janet Jackson, and N*E*R*D.